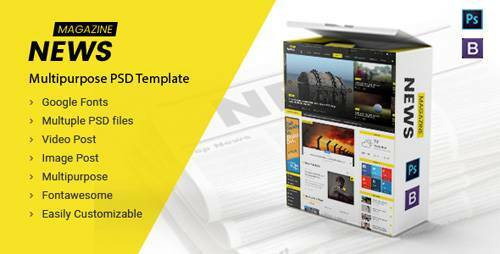 News Magazine is a modern and unique PSD template designed for news magazine sites companies & bloggers who’s looking for a design which can be used for their business website and news sites magazine purpose websites and much more. It’s easy to customize this template for your purpose. News template has everything you need to start your next unique blog & magazine business website! PSD files are fully layered and simply customizable, all elements are in Groups and can easily identify by the group name as well.